Scleral lenses are a specialized contact lens that make contact lens use possible for many people for the first time – and they have advantages for normal contact lens wearers as well. What are the main benefits of a scleral lens vs. a regular lens? Scleral lenses are great for athletes who require excellent acuity and a stable lens fit while they are physically active. They are also useful in situations where other contact lens types are not effective or appropriate, including dusty environments and contact sports. 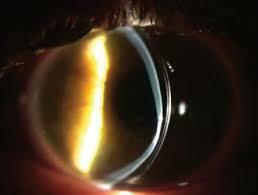 Scleral lenses can provide hydration to the cornea in severe cases of dry eye and ocular pemphigoid. They can also help in keeping the eye hydrated in conditions where the eyelids do not close properly such as facial nerve palsy, trauma, or ptosis. If you would like to make an appointment, please call (214) 220-2425 or click on the button below.